Looking to make a tee time near Scottsdale to take a break from the Scottsdale art museums and galleries? Consider any of these top golf courses in Paradise Valley, courtesy of Jaguar North Scottsdale! Enjoy the exclusive, serene setting offered at the course at Paradise Valley Country Club. Elevated tees and greens provide a challenge, as do water hazards and bunkers on many holes. This course features a traditional layout in Paradise Valley, with mountain views to the south and west. Here you’ll find hilly fairways and fast greens, water hazards on five holes, and strategically placed bunkers. Take advantage of the putting green and chipping area, as well! Take in stunning views of Camelback Mountain while hitting the links at this 18-hole, par-3 course. When you stay at the boutique Mountain Shadows resort, you’ll not only enjoy unlimited rounds of golf at The Short Course and free rental clubs, but you’ll also be able to relax poolside when you’re not golfing. Located at Camelback Golf Club, the Indian Bend Course is one of the resort’s two championship courses and has recently been completely redesigned. Renovations included a rebuilding of a desert wash, the elimination of more than 100 acres of turf areas to be replaced with native desert areas, and an improvement to playability. 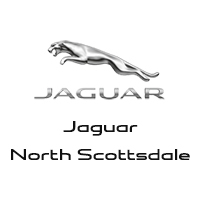 Jaguar North Scottsdale has you covered with all the information you need, whether it’s finding the best golf course, exploring Jaguar racing, or searching for a new Jaguar model. Connect with our team to learn about our current offers!